Historiography on Latin American Christianity in the 1970s and 1980s was essentially a monologue on liberation theology. In the last two decades, studies on Pentecostalism have exploded, joining liberation theology on stage. These two strands of historiography have been largely understood in terms of a binary, Catholic-Protestant divide: liberation theology as rooted in the former, and Pentecostalism as a Protestant alternative. Professor Brian Stanley gave a paper this week in the History of Christianity seminar that challenged many widely held assumptions regarding liberation theology. I will use this seminar as a springboard for discussing new currents in the study of Latin American social theology and a solution to the historiographical islands that often give rise to partial or inaccurate narratives. Stanley’s paper was essentially a work of intellectual archaeology—uncovering the early contribution of Brazilian Presbyterian theologian Rubem Alves. In doing so, Stanley problematized historiography on the origins of Latin American liberation theology. 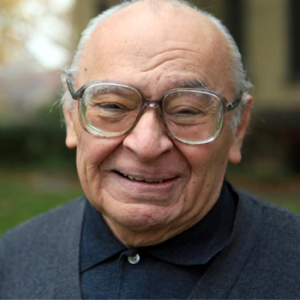 He also isolated liberation theology’s use of the exodus motif, tracing its use to its most famous expositor—Peruvian Dominican priest Gustavo Gutiérrez. Stanley’s paper derives in part from a chapter in his forthcoming book on World Christianity in the twentieth century. For the young historians in the room, the seminar served a veritable workshop on the craft of writing history, tracing sources, and questioning received narratives. The paper moved seamlessly from Alves’ Princeton Theological Seminary doctoral thesis, to early liberation theology gatherings, and finally to Gutiérrez 1971 masterwork Teología de liberación (Theology of Liberation). These stories converged at a November, 1969 meeting of SODEPAX (Joint Committee on Society, Development and Peace), sponsored by the World Council of Churches (WCC) and the Pontifical Commission Justice and Peace of the Holy See—the official parent bodies. Alves’ paper here called the Exodus “the primary fact” while Gutiérrez largely ignored the story. At the gathering, however, these theologians met for the first time and began to dialogue on the fledgling theology of liberation. Stanley argued convincingly that Alves influenced Gutiérrez. 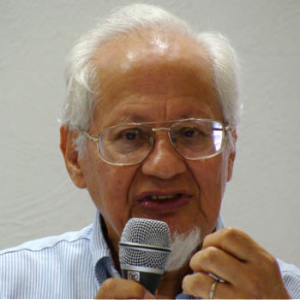 Alves has been widely ignored in historiography on liberation theology. In contrast, Stanley concluded that Alves should be viewed as a key early liberation theologian. This seminar also raised questions in my mind as to why Alves has largely been overlooked, while the late Argentine Methodist José Míguez Bonino has been widely lifted up as a “hero” of liberation theology—as one prominent liberation theologian recently described him to me. Most of the present literature on liberation theology’s origins is within the field of theology rather than history. While theologians can certainly produce fine work, many have been prone to reductionistic narratives, which serve the theologians own religious background. How does one produce historiography that is neither reductionistic nor detached—that is, so removed from the lived religion of participants that it is inaccurate. These are some of the questions I hope to address in my own work. My PhD thesis has raised similar questions regarding the purely Roman Catholic origins of Latin American social theology. I argue that the binary liberation theology/Pentecostalism divide has obscured the contribution of an important third strand—integral mission. In the postwar period, Ecuadorian theologian René Padilla took aim at his alma mater Wheaton College—the white, suburban enclave of Protestant evangelicalism—and the broader North American Protestant church for its actions and complicity in maintaining the religious and sociopolitical status quo. In articulating this critique, Padilla coined the term misión integral, or integral mission. The concept of integral mission—in which the pursuit of justice is seen as integral to the proclamation of the kingdom of God—radically reshaped global Protestant evangelical mission (The Spanish word integral is used to describe whole-wheat bread or wholeness). Current historiography has framed integral mission in terms of liberation theology. In contrast, my research shows that this narrative has been largely anachronistic. I argue that the origins of integral mission are found within shared political and social stimuli, rather than wholesale borrowing from liberation theology. From within the revolutionary environment of postwar Latin America, integral mission challenged paternalistic missionary structures, the evangelical political monopoly of the Religious Right, and the approaches of Christian mission and relief organizations. Progressive Protestant evangelicals such as Ecuadorian René Padilla, Peruvian Samuel Escobar, and Puerto Rican Orlando Costas have been central to the story of the reshaping of the Latin American religious landscape and indeed the global religious landscape. Both in terms of demographic expansion and power in the public square, Latin American Protestant evangelicals are increasingly central to the new religious economy of Latin America. These new currents in the study of Latin American social Christianity also raise questions regarding wider trends in the study of World Christianity. As such, these new studies should not treated as isolated pieces of knowledge or an exotic object for the academic fetish. While Latin America arguably contains more Christians than anywhere else, it remains the most understudied area of World Christianity. How might this striking oversight be addressed? Rather than arguing for everyone to become Latin Americanists, I propose a simpler solution: a multidirectional conversation. How might trends in the study of African Christianity dialogue with those of Latin America? For example, what continuity or discontinuity exists between contemporary Pentecostal practice in Latin America and the East African Revival, as described in new studies such as Derek Peterson’s Ethnic Patriotism and the East African Revival? Or how might Joel Cabrita’s Text and Authority in the South African Nazaretha Church contribute to understanding how Latin American evangelical Protestants use text in opposition or proselytism toward their Roman Catholic neighbors? These conversations will enrich both researcher and student. To use a cliché, the academy needs less islands—or perhaps simply more bridges. David C. Kirkpatrick is a PhD student in World Christianity, and anticipates submitting his thesis for defense in May 2015. His research explores the origins, development, and dissemination of integral mission (misión integral), as articulated by Ecuadorian theologian C. René Padilla. This entry was tagged Gustavo Gutiérrez, Latin America, Liberation Theology, René Padilla by CSWC. Bookmark the permalink. I did my dissertation on Alberto Rembao (Boston University 2007) and examined him and contemporary Protestant leaders especially of the interwar period. I critiqued the bias that prior to Liberation Theology (LT) there was really no social Christianity worthy of the name. I actually found quite a few inaccuracies said about him and his period. My dissertation was published as a book (I found some word processing errors in my dissertation, so the book is the better place to go). I found significant bias against just about any version of Christianity (my focus was Protestantism) before LT. Also, many scholars did not take into account interwar internationalism / world friendship (and the growth of pacifism) as an important framework for the missionary dialog of the era. At one point I question what more Rembao and some of his contemporaries needed to do to qualify as radical social Christianity. Of course neither LT nor integral mission existed as terms during the era I explored, so I chose the term holistic mission, another term not yet popularized, but it seemed the best one to choose for “their” context. Thank you for your comment! I am very glad to hear of your work on this important topic. I look forward with interest to reading your book, and to exploring your writing on such an overlooked thinker like Rembao. As an aside, I was at Bethel visiting your colleague Victor Ezigbo over Christmas. I wish you all the best during the start to your summer.